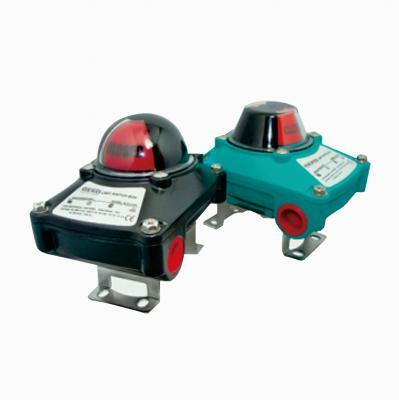 - Waterproof GKS-100 Series Position Monitoring Switch Boxes Are Primary Rotary Position Indication Device Designed To Integrate Valve And NAMUR Rotary Pneumatic Actuator With A Variety Of Mounting Options, Internal Switches Or Sensors And Configulations. - Rigid And Compact Design Constructed From Aluminum Alloy Die-Casting Capable Of Operating Even In Arduous Conditions. - Dome Position Indicator Constructed From High Resistance Poly-Carbonate Material Which Offers Instant Visual Recognition Of Valve Or Actuator Position Up To 50 Meters Distance.